Every Slack workspace starts with two channels, #general and #random, and can grow from there. In the past, we’ve talked about the importance of channel naming conventions, which go a long way in helping teams improve their organization, discoverability, and transparency. You might know that you can create channels for specific projects or departments, but part of the beauty of channels is how they can break down barriers to communication across an entire organization. Here are suggestions for five types of channels most any workplace can add to make employees’ lives simpler, more pleasant, and more productive. For any office of more than a handful of people, consider renaming your #general channel to #announcements, and reserve the channel for critical information everyone should know. Is the office water getting turned off for an hour at 10AM tomorrow? Are health plan selections for next year due this Friday? Is it time to RSVP for the company holiday party? Post it to #announcements so everyone knows immediately. It’s great to create a policy for this too. Ask everyone to star the channel so it’s top of mind (and app). Consider limiting posting rights to only Slack admin accounts, or discourage people from posting unless it’s a company-wide announcement. Ask people to shift water cooler talk to #random or other socially focused channels designed for banter. Years ago, we heard about a company with an “Ask the CEO Anything” channel, and we instituted it at Slack as well. It evolved to #exec-ama, where anyone can ask a question and get an answer from the most appropriate member of the executive team. It creates a space where employees can ask their most senior colleagues anything and helps foster a transparent workplace culture as executives answer honestly. Last year, we asked on Twitter if anyone else did this and the positive replies included teams from a variety of different industries, ranging from household-name media properties to dozens of small businesses. Slack gathers feedback inside the company in a couple of ways. One is a #features channel where anyone, regardless of their role, can suggest a new product feature, explain what problem it solves, and why they want to see it built. Product managers hang out in the channel and can ask follow-up questions and estimate how long it would take to build. Channels like #company-culture and #suggestion-box can serve a similar purpose. Each of these creates a space for anyone to share feedback on business or workplace issues, or offer up ideas for discussion on how to improve things in the future. 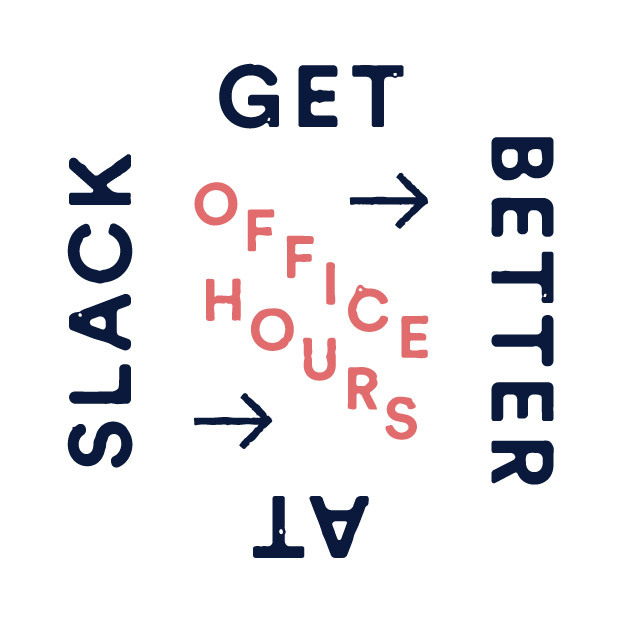 Slack is a great way to get to know your colleagues at work, and it’s good to have dedicated areas for socializing that stretch across departments. It’s pretty common for teams to have channels dedicated to discussing interests like #running, #movies, #music, or #happy-place (mostly cute baby animal photos). Some teams might prefer to prefix channels, like #social-running or #soc-running to keep them alphabetized in the sidebar. Even though they’re not strictly work-related topics, these sorts of conversations happen informally inside companies anyway, and having them in Slack helps build community and cohesion at work as everyone learns a bit more about one another. Early this year, we launched the Reacji Channeler feature, and though the title is a mouthful, it does one thing really well. It reposts any message with a specific emoji reaction into a specific channel. In other words, if you create a channel and feed it messages with the reacji channeler, it can become a one-stop shop for specific information and powerful workflows. Our #beeftweets channel uses this feature to steer feedback from Twitter into product improvements. Whenever anyone in the company spots an actionable complaint in our @SlackHQ Twitter mentions channel, their custom reaction instantly copies the tweet to the channel for discussion and prioritization. We’ve heard a handful of other uses for the Reacji Channeler. Some companies use it to mark major milestones into a channel set aside for tracking company history. Internal communications teams can tag vital messages new employees should see, so they end up in an employee handbook channel filled with important information. Divisions within a company can each adopt their own custom emoji, so if someone in accounting posts about a product bug, the #engineering team can see it when someone tags their team’s emoji as a reaction. Organizing Slack around channels is key to keeping conversations on topic and easily searched for later. If you’re not already using these kinds of channels, we hope you can use them as a jumping off point to improve how your company communicates together. No matter your job title or department, Slack can help your team work together and get things done. Matt Haughey has rarely felt a Slack team had too many channels, but not enough is a regular problem.